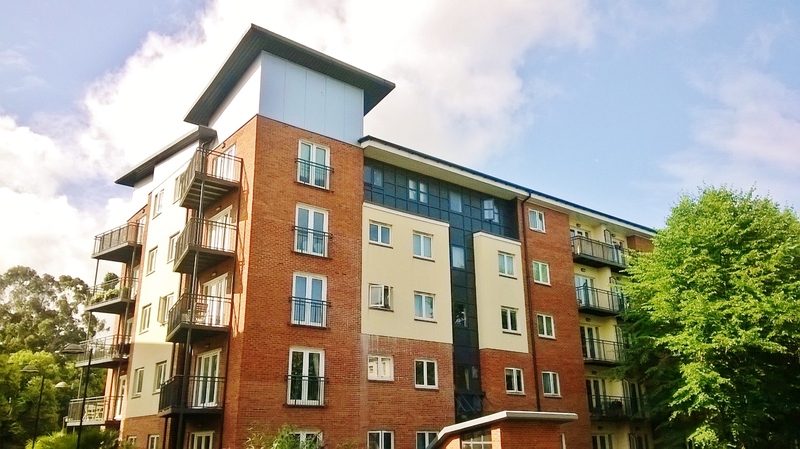 Ransoms Residential is delighted to present this spacious and modern - 2 double bedroom (2 bathrooms) - apartment located in the City Centre of Exeter. This lovely home has recently undergone updating which has further enhanced the stylish, modern feel. CLICK PHOTOGRAPHS TO ENLARGE. On entering the property you are first met with a spacious entrance hallway which provides access to the lounge, bedroom 1, bedroom 2 and the main bathroom. 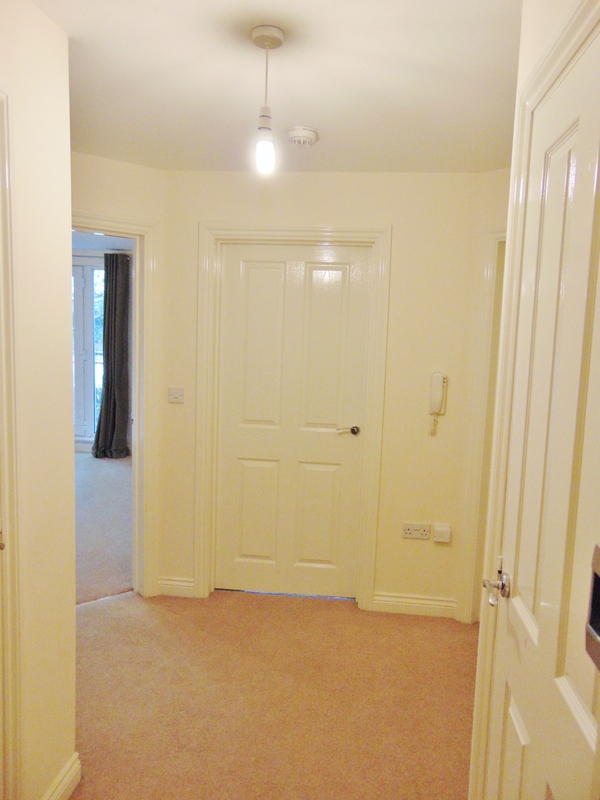 The entrance hallway is wide making it a convenient and useable area with the addition of 2 (very handy) built in storage cupboards. The lounge is bright and spacious and benefits from large double glazed doors that lead out to a good size balcony. 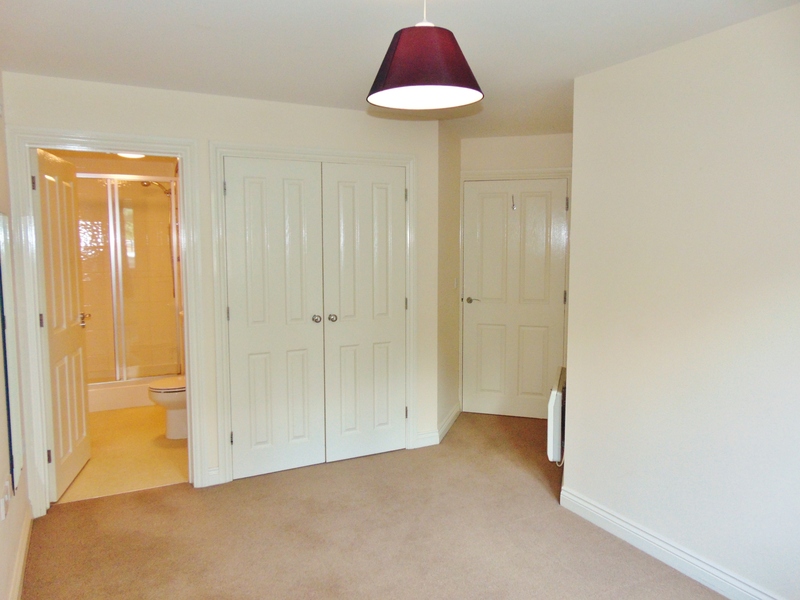 This room has recently been redecorated with fresh Magnolia walls and a fresh White ceiling. The lounge has been used previously with both living room and dining room furniture creating a useful lounge/dining space. To the left of the lounge is a square arch way that leads through to the kitchen. The kitchen is modern and is fitted with a range of wood effect units that come with fully operational, easy shut, self-closing drawers. The work surfaces are a contrasting light granite effect with a rolled edge and a stainless steel sink. 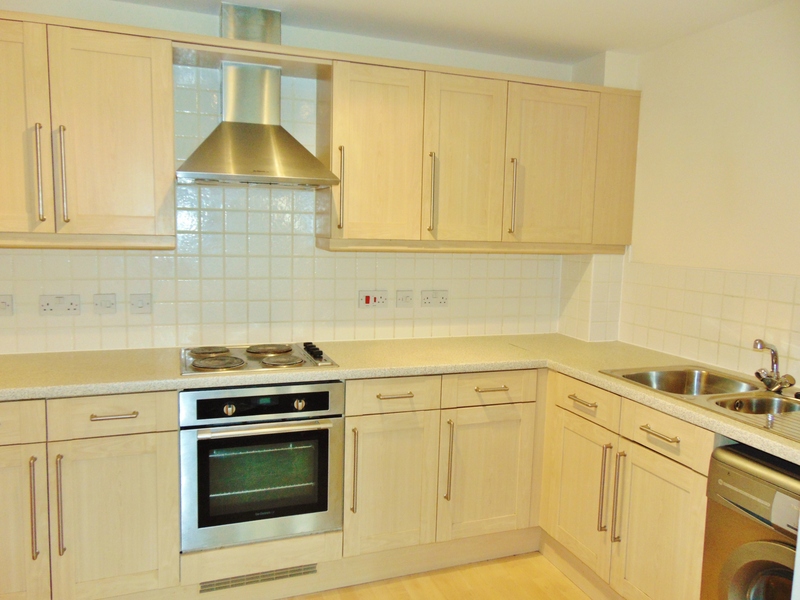 There is an integral oven and a recently fitted ceramic hob. Flooring is a light wood effect vinyl for ease of maintenance and a washing machine & large fridge freezer is also provided. The balcony is large enough for a bistro table and chairs and potentially some planting pots should you wish to grow some flowers. There is also a wall mounted outside light for the evening/night time. 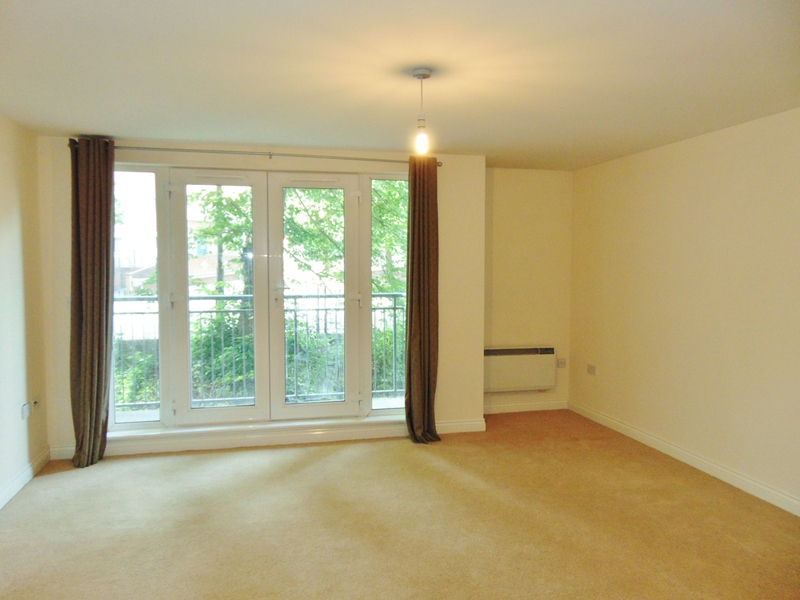 The larger of the 2 double bedrooms overlooks the front of the property via a double glazed window. 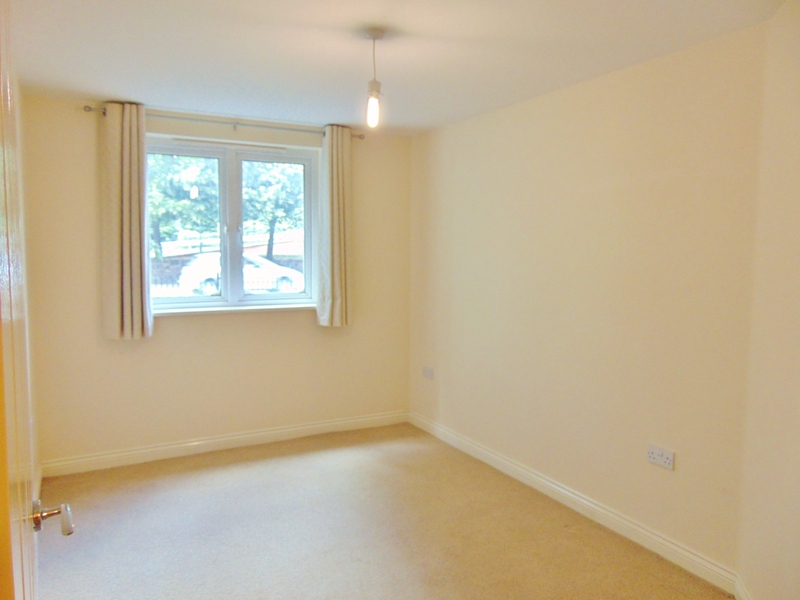 This room has ample space for a double bed and free standing furniture, but has the addition of a large built in wardrobe. This bedroom has also been freshly redecorated with Magnolia walls and white ceiling. A major benefit of this bedroom is the ensuite shower room which comprises of a double shower cubicle with sliding doors, a large sink and a W.C which is fitted in to white vanity units. 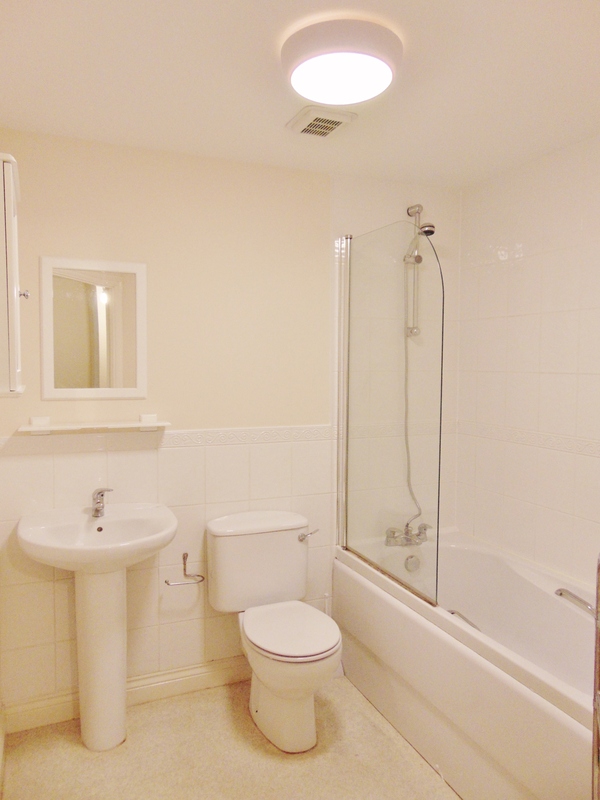 The flooring is recently fitted modern mosaic vinyl and there is a wall mounted chrome heated towel rail. The second of the double bedrooms also overlooks the front of the property via another double glazed window unit. 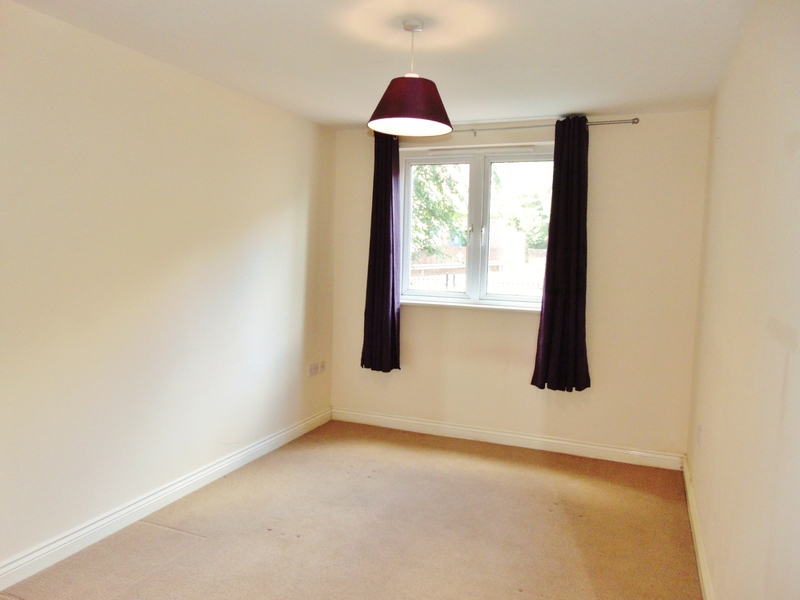 This room is a good size and can easily accommodate a double bed and free standing furniture. The main bathroom is fitted with a modern white 3 piece bathroom suite which includes a shower unit over the bath with glass screen. The bathroom has also been recently fitted with modern mosaic vinyl flooring and comes complete with a wall mounted heated towel rail. 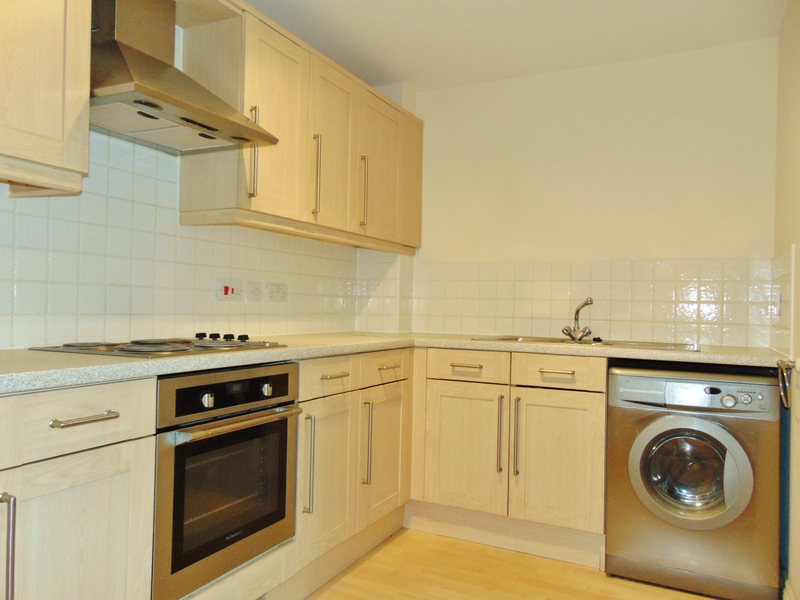 This property comes with full electric central heating and double glazing throughout and parking is provided as 1 allocated space which is secure and off road. The space requires a permit (provided) and is accessed with a remote control (provided) - There is stair and lift access back to the apartment. This very smart city centre home is located in a superb spot which is within a 3 minute walk of Exeter City Centre and a 10 minute walk to Exeter University. The distance to Exeter RD&E Hospital is approx. 20 minutes by walking and less by cycling or car. Viewing is strongly recommended - SORRY NO DSS, PETS, STUDENTS, CHILDREN OR SMOKERS. If you would like to arrange a viewing please call our Exeter lettings office on 01392 692200 or use the contact form below and we will come straight back to you. Please include the title of the property you are enquiring about.